Sir Jude Emecheta, the Chairman of ‘Governor Willie Obiano Support Group’, in this interview with NWANOSIKE ONU, argues that Gov. 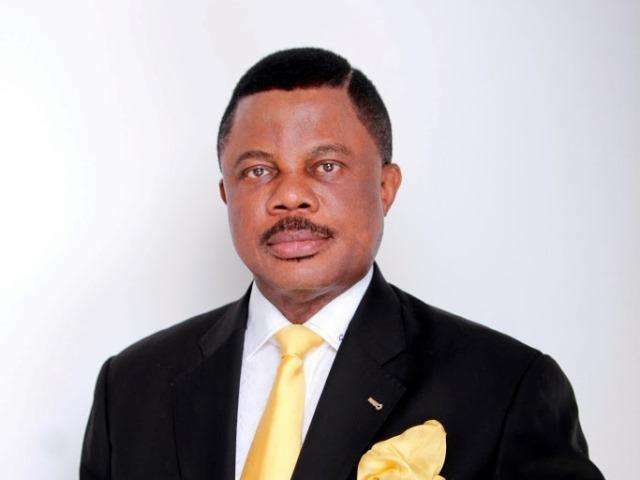 Willie Obiano deserves a second term. The governor, Chief Willie Obiano, is facing many hurdles as the November 18 election draws near, especially the crisis in APGA. Why is it so? You are seeing hurdles, I’m not seeing any. I don’t see any APGA member against each other in this coming election in the state. I have always known that every election season, people who don’t want to contest election, but want money will always talk of frivolous black mail. If you don’t understand the system, you panic and try to give them money in order not to disrupt the system. Why has the national chairmanship of APGA suddenly become a hot cake? They want to be in a position to blackmail Obiano for money. If you don’t give me billions, I won’t give you the ticket. That is the slogan now. It has always been the Nigeria political system, that most aspirants would want to bribe the chairman for tickets. In the case of Obiano, APGA has concluded that he has no contestant and it happened in USA. If you are doing a good job, nobody will challenge you. Every member of APGA loves what Obiano is doing in Anambra State and will voluntarily vote for him without asking for a dime. But, they see that Dr. Victor Oye, is their stumbling block of not getting money from Obiano and that is the blackmail point. Even, if INEC comes to supervise the primary, the court will always tell you that the party chose who they want, but thank God, all their machinations will come to naught and I believe that the judicial system will not allow itself to be soiled. But, are you convinced that he has done well to deserve a second term? Look at the issues as they are. It is not about being sycophantic. What was his vision for Anambra? Has it been tasted? I say yes and that is what the Federal government is trying to replicate at the federal level. Is he pursuing those visions? Yes. Agriculture remains the key to turning the economy around; it is not only exports. It is about having the raw materials available to produce those things that we import. Is he doing it? He is. He is supporting agriculture, disbursing the loans from the Federal government and Central Bank of Nigeria (CBN) to the farmers with the help of Internally Generated Revenue (IGR) in training our youths at Mgbakwu for it. It is not about pumping money in agriculture, but building capacity for our young people. Those who live outside the state are clamouring to come back to join the agriculture revolution. That brings both employment and food to our people. Let me take the issue of MoU. Some people say he said he brought five billion dollar investment to Anambra, did he not? What I want to tackle on that issue is that I spoke with one of the technical people involved in the signing of the MoU, he told me that, when they wrote the proposal, dollar was hovering between 150 to 200 naira to a dollar and even in their proposal, they mapped out 250 naira, thinking about the depreciation. The naira could not get as bad as 250. And the time they signed the MoU with Anambra government in investment, 250 million dollars, the naira depreciated between 350 to 400 everything with a gap of a hundred naira to a dollar. They had to go back to the drawing board. the technical partners had gone back to their banks abroad that the naira had changed, and they had to draw another plan, and this led to giving a year gap by the foreign banks to ascertain if the naira would stabilize at a particular point. So that has held the MoU for being actualized though they had brought in the machinery into the country. He said those criticizing the MoU do not know what business is about. Is that the only reason why you think the people of Anambra should return him on November 18? Before the end of the year, the economy will stabilise, based on the forecasts of the World Bank, federal economic team and the CBN. So Willie Obiano, has done well in Anambra. The most important is that no place can develop without security and that is the biggest achievement of Obiano by chasing away criminals from Anambra. Another four years, Obiano will achieve the turnaround in Anambra state economically, so that generations to come will not need to go to Abuja capital in hand begging for money. Anambra state would have had a solid economic base from Agriculture, natural minerals, including mining. Is APGA not afraid of the APC or the PDP or even the PPA during the election? We have seen them over the years. They always come with this storm. We respect APC, PDP because they have formidable forces in Anambra state, they also have the wherewithal to share as usual, but if they had done it over these years and Ndi Anambra still voted for APGA, this one will not be an exception because Obiano has improved so much on what Peter Obi left. 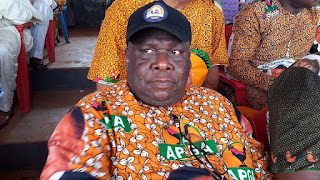 So, APGA is not afraid or scared of anybody because they do not have anything to tell Anambra people. Federal government is groping today because of the mess left by the PDP and we have seen APC groping with numerous problems in their hands without knowing how to handle it. Also, our own brother in Imo state has not shown us any good example in governance. Therefore, if the people want to vote for good governance, APGA still stands the chance of nipping it on November 18.